How many Units (30 Capsules)? 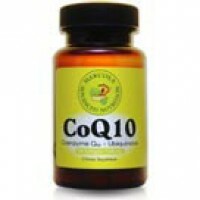 Co Q10 by itself is also known as ubiquinone. To benefit from the form of the nutrient needed to produce cellular energy and help you reduce the typical signs of aging, your body must convert the ubiquinone to ubiquinol. Some reports say your Co Q10 level decline becomes apparent as early as your 20's. Critical Co Q10 levels decline as you age. So I believe this is a must-have supplement! The good news is with the Mercola Advanced Nutrition supplement, you now can have the ubiquinol formula direct... the active form of the Co Q10 nutrient*. However, not everyone needs the ubiquinol formula. If you're younger than 25, your body should absorb regular Co Q10 just fine. That's why I decided to offer both regular Co Q10 and ubiquinol-based Co Q10 in my line of Mercola Advanced Nutrition supplements. The Mercola Advanced Nutrition Co Q10 and ubiquinol supplements can help you in many different ways to complement your healthy diet and energize your life. If you or anyone you know is taking a statin drug, I truly believe it is absolutely essential to start taking a Co Q10 or ubiquinol supplement immediately to replenish your Co Q10 levels. If you take statin drugs to lower cholesterol, I believe it's essential for you to replenish your Co Q10 levels! Statin drugs work to lower your cholesterol in the same pathway your body uses to produce Co Q10. So if you or someone you care about is taking a statin, I recommend (based on your age) you start using a high quality Co Q10 or ubiquinol supplement right away. But not just any Co Q10 supplements. As with any supplement I recommend on my site, I established stringent criteria to find you the ultimate Co Q10 and ubiquinol formulas. This thorough process ensures you can take full advantage of all the benefits the supplements have to offer. My strict criteria for selecting top-notch Co Q10 and ubiquinol supplements for you? So far, I believe the Mercola Advanced Nutrition Co Q10 supplements deliver high-absorption formulas*. That's why I offer both regular Co Q10 for those under 25 years old, and ubiquinol if you're over 25. And in my opinion, statin drug users should begin taking the supplement immediately to help replenish their Co Q10 levels. A very exclusive process drives the creation of these supplements. A unique manufacturing process using biological fermentation delivers a 100% pure and natural Co Q10 and ubiquinol. This is right in line with one of my most stringent selection criteria. This process not only ensures you get a 100% natural product, but a stabilized, high-absorption formula as well. One of the biggest challenges faced by any manufacturer of ubiquinol is how it easily oxidizes in the air. This adds to the instability of the nutrient. To overcome this issue, the manufacturer of the Mercola Advanced Nutrition Co Q10 supplements actually established technology that enables the production of ubiquinol in stable bulk quantities. Translucent technology allows you to actually see your product's purity. Reduces the need for inactive, potentially allergenic ingredients. Why Would You Settle for Inferior Quality? As you probably already know from other supplements I offer on my site, it's not enough that the product itself is superior to others. The developer and manufacturer of Co Q10 and ubiquinol must also demonstrate proven quality practices. There are literally hundreds, if not thousands, of Co Q10 supplements on the market today... but there are only a few great ones out there... and even fewer provide the advanced ubiquinol formula. If the importance of using Co Q10 is convincing to you, then I would strongly encourage you to do your homework, and make sure a GREAT company produced it. When I first started my investigation, the low quality demonstrated by so many companies absolutely shocked me. That's why I spent many long months researching to identify what I believe is one of the top Co Q10 and ubiquinol supplement manufacturers in the U.S. today. In fact, research on their unique ubiquinol formula spanned 10 years. It only recently became available in the last 2 years. Announced self-affirmed GRAS (Generally Recognized as Safe) statusThis manufacturer performed all necessary research and provided supporting materials regarding production methods, quality assurance, and safety -- no objection letter was issued. You should clearly see why I chose this manufacturer to provide you with the highest quality Mercola Advanced Nutrition supplements. Don't ever settle for a supplement unless it is solidly backed by a manufacturer practicing the highest quality standards. To you, quality means a consistent top-of-the-line product every time you use it. The scientific community continues to conduct many research studies using Co Q10 in both ubiquinone and ubiquinol forms. To date, the safety and reliability reports on the supplement remain solid. This should always be important to you when considering taking any supplement... I know it is for me. From the American Cancer Society: "Few serious reactions to Co Q10 have been reported." From the University of Maryland Medical Center: "Coenzyme Q10 appears to be generally safe with no significant side effects..."
From the National Center for Complementary and Alternative Medicine (NCCAM) at the National Institutes of Health (NIH): "No serious side effects have been reported from the use of coenzyme Q10." I bet you agree -- this is excellent feedback on Co Q10 safety. With the superior high-quality practices in place for the Mercola Advanced Nutrition Co Q10 supplements, I feel these are true winners. Now you should understand why I'm so excited to bring you these extraordinary Co Q10 supplements. They passed all of my stringent selection criteria for supplements to be offered on my site. Let me quickly summarize all this for you with 5 clear-cut reasons why you should take action and order these supplements without delay. Isn't it time you took action and ordered one of the Mercola Advanced Nutrition Co Q10 supplements today? If you're using a statin, I sincerely believe you need to take a Co Q10 supplement to replenish your Co Q10 levels. With my thorough and methodical research, I've taken all your guesswork out of finding the ultimate high-quality, regular and ubiquinol-based Co Q10 supplements. Remember, if you're under 25 years of age, I recommend the regular Co Q10 supplement. If you're over 25, you should use the reduced ubiquinol formula to help you absorb the Co Q10 you need*. When it comes to Co Q10, I've simply not found better products for your money than the Mercola Advanced Nutrition supplements. So, don't delay any longer, order your Mercola Advanced Nutrition Co Q10 supplement today!